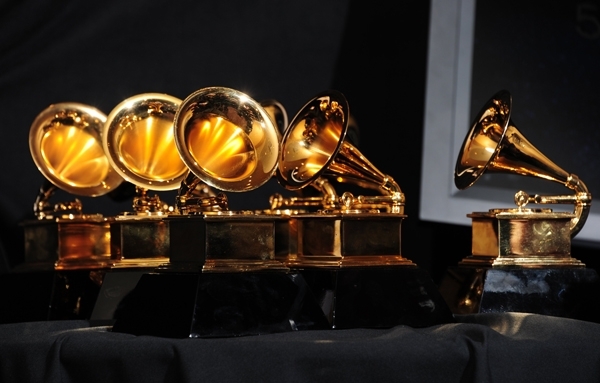 Rock music is reclaiming it’s place this year at the 56th Annual Grammy Awards. It was announced today that rock heavyweights Nine Inch Nails, Queens of The Stone Age, Dave Grohl (Foo Fighters), and Lindsey Buckingham (Fleetwood Mac), will all come together as the final show-stopping performance of the evening. All these superstar acts are tied to this year’s award show, and to each other as well. Dave Grohl played drums on Queens of The Stone Age’s multi-platinum smash hit, 2002’s Songs for The Deaf. He also contributed drums on their most recent effort, 2013’s …Like Clockwork. In 2005, Grohl contributed percussion to seven tracks on the Nine Inch Nails album, With Teeth. In 2013, QOTSA frontman Josh Homme returned the favor by performing on three tracks on Grohl’s Sound City Soundtrack. On QOTSA’s hit 2013 album, …Like Clockwork, NIИ’s Trent Reznor lends his vocal’s to the track, “Kalopsia”. Both NIИ and QOTSA performed at this past summer’s Budweiser Made In America Festival in Philadelphia, PA. The two juggernauts will be embarking on a massive co-headlining tour in March in Australia and New Zealand. Lindsey Buckingham appeared in Dave Grohl’s directorial debut, the documentary Sound City, and Buckingham’s Fleetwood Mac bandmate Stevie Nicks appears on the film’s soundtrack. In addition to this stellar finale, performers at this year’s Grammy Awards include red hot alt-rockers Imagine Dragons, heavy metal titans Metallica with pianist Lang Lang, and the much-anticipated Beatles reunion of Paul McCartney and Ringo Starr. Fans are the only ones stoked for the show. “We’re incredibly excited about this number,” stated Grammy Awards executive producer Ken Ehrlich. “There’s nothing better than when the Grammys can rock out, and to have these artists all together on one stage, doing a number that, when they presented it to us, knocked us out, is going to turn out to be one of those Grammy moments that people talk about for a long time. 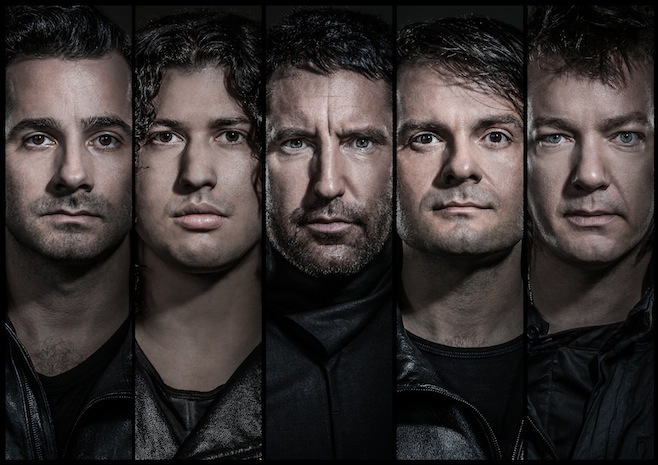 Long live Trent, Josh, Dave and Lindsey and these great bands!” This year, Nine Inch Nails are nominated for Best Alternative Music Album for their long-awaited eighth studio effort, Hesitation Marks. Queens of The Stone Age are up for Best Rock Performance for the track, “My God Is The Sun”, and for Best Rock Album for …Like Clockwork. Dave Grohl is a two-time nominee this year without the Foo Fighters. He’s up for Best Rock Performance for the song “Cut Me Some Slack”, with former Nirvana comrade Krist Novoselic, the legendary Paul McCartney, and Pat Smear, and Best Compilation Soundtrack for Visual Media for Sound City. While Lindsey Buckingham himself is not nominated this year, his guitar work is featured on the song “If I Loved You” by Delta Rae, which earned renowned producer Rob Cavallo a nomination for Producer of The Year, Non-Classical. Dave Grohl is a thirteen-time Grammy Award winner. This year marks Nine Inch Nails’ thirteenth nomination, and they have two wins under their belt. 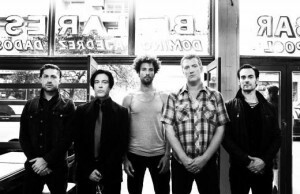 Including this year’s nods, Queens of The Stone Age have been nominated six times. Lindsey Buckingham was nominated for five Grammys with Fleetwood Mac, and the band won Album of The Year in 1978 for their masterpiece, Rumors. Nine Inch Nails are undoubtedly one of the greatest artists of all time. Pioneers of the industrial genre, they incorporated elements of rock, metal, electronica, and alternative rock to forge a style all their own. They shook the music world to it’s core in 1989 with their debut album, Pretty Hate Machine. The record was truly groundbreaking, and has since gone on to be certified multi-platinum. In 1994, NIИ set the bar once again with their sophomore effort, The Downward Spiral, which debuted at #2 on the Billboard Top 200. The disc went on to sell over 5 million copies, and be certified quadruple-platinum. It spawned NIИ’s finest moment, the single Closer. The band’s third album was a monster double disc outing titled The Fragile, released in 1999. The album saw NIИ expanding their trademark sound, and once again the band debuted at #1 on the Billboard Top 200. 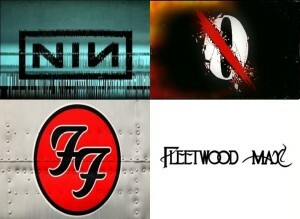 From 2005-2008, the band released four more studio LP’s. Throughout their entire career, Nine Inch Nails were famous for their EPs, single releases, and remix albums. They have released approximately two-dozen since their inception. Every NIИ record is categorized with the word “Halo” followed by a number. This past summer, the band headlined the Budweiser Made In America Festival in Philadelphia, PA. In the last year, frontman Dave Grohl directed Soundgarden’s video for “By Crooked Steps”, recorded drums on the new Queens of The Stone Age album, …Like Clockwork (heavily praised as one of the best albums of 2013), produced Ghost B.C.’s latest EP, If You Have Ghost, directed his first documentary, Sound City, and collaborated with Zac Brown Band on their country rock EP, The Grohl Sessions, Vol. 1. Foo Fighters last album, 2011’s Wasting Light, debuted at #1 on the Billboard Top 200 and was produced by Butch Vig, who produced the legendary Nirvana album, Nevermind. Keeping with the desire to create a rawer and heavier album, Grohl decided to record it in his garage in Encino, CA. The disc went on to earn the band five Grammy Award nominations, including Album of The Year. The album won the award for Best Rock Album, and the song “White Limo” won Best Hard Rock/Metal Performance, and “Walk” won both Best Rock Performance and Best Rock Song. Foo Fighters walked away with a fifth Grammy that night – the award for Best Long Form Music Video for Back and Forth, a documentary about the recording of the album. To support the record, the band hit the road on the Wasting Light World Tour from December 2010-September 2012. 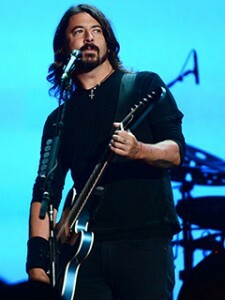 Foo Fighters recently played a special show on December 13, 2013 in Mexico City, Mexico. This concert marked the band first trip to the country. 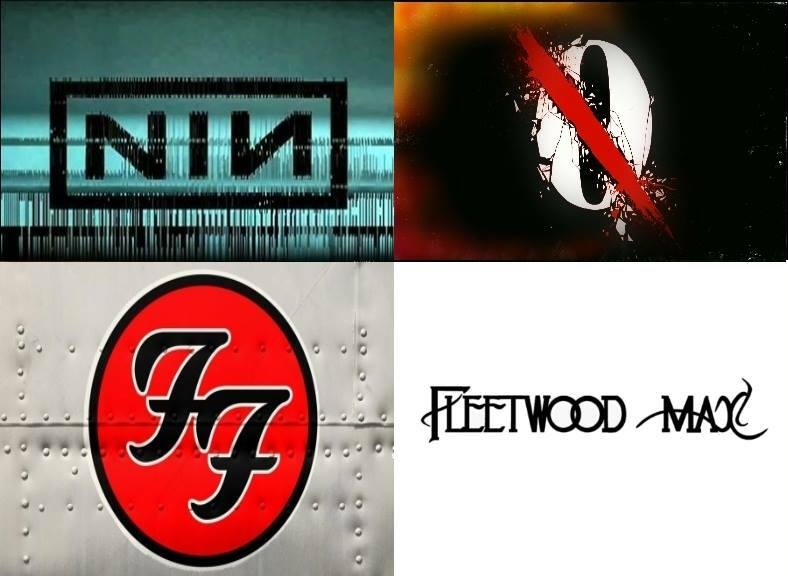 The band’s new disc is tentatively due out in late 2014, and it most definitely made our list of the Most Anticipated Rock Albums of 2014. On February 1, Foo Fighters will headline the Bud Light Hotel Super Bowl Party in New York City, the night before Super Bowl XLVIII. The band is set to headline Firefly Music Festival in Dover, DE, on June 19-22. Tagged ...Like Clockwork, 56 annual grammy awards, cut me some slack, Dave Grohl Grammys 2014, fleetwood mac 2014, fleetwood mac news, Foo Fighters 2014, Foo Fighters new album, Foo Fighters news, grammy awards 2013, Grammy Awards 2014, Hestitation marks, Imagine Dragons, Josh Homme, Krist Novoselic, Lindsey Buckingham grammys, Metallica, music news, NIN news, nine inch nails 2014, Nine Inch Nails Grammys, Nine Inch Nails news, Nirvana, Paul McCartney, qotsa 2014, Queens of the Stone Age Grammys, ringo starr, rock music, Sound City, The Beatles, The Rock Revival, TheRockRevival.com, Trent Reznor.